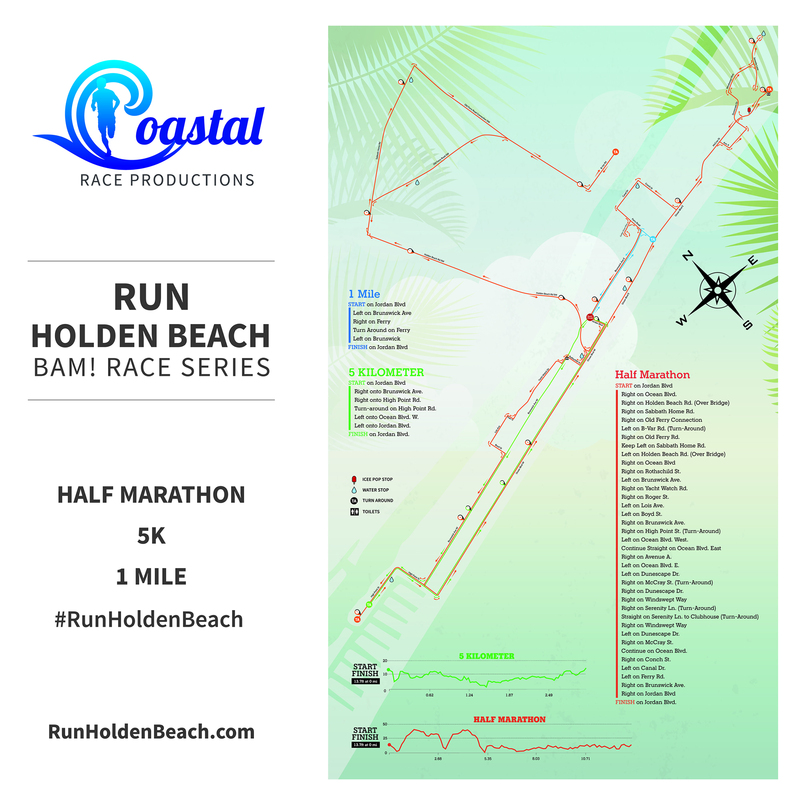 It's time for Run Holden Beach! Choose between the half marathon, 5k, or 1-mile race. The start/finish line is located under the bridge on Jordan Street. Run Your Race, Then Explore Holden Beach!